L.A.’s greatest embodiment of the love/hate relationship is, without, question, the Triforium, a six story-tall, light-up, motion-sensing, musical sculpture that was built in 1975 by artist Joseph Young for $950,000. The sculpture was almost universally reviled right off the bat and experienced a slew of technical difficulties, but over the years it has developed a passionate cult fanbase. 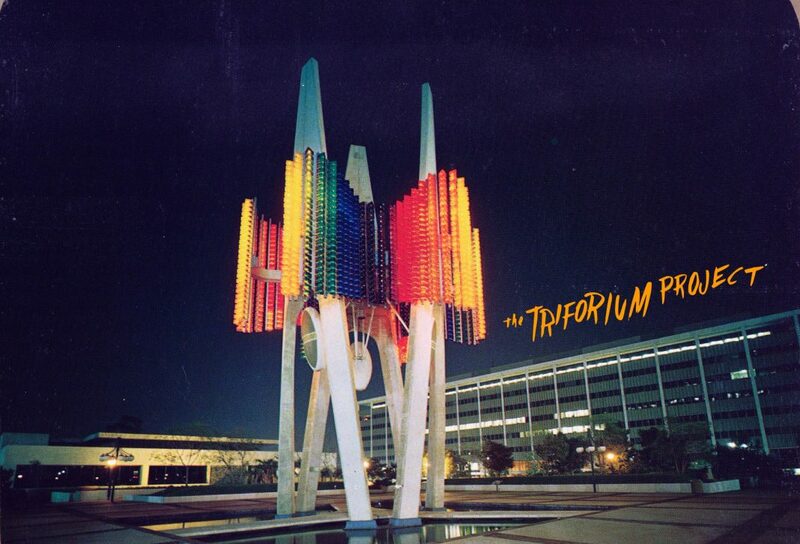 Among those fans are members of the Triforium Project (including the band YACHT, Tom Explores Los Angeles, Downtown Art Walk, and Art Share LA), a group devoted to getting the Triforium back online. So what if, at the time it was built, the polyphonoptic artwork was received as “the Trifoolery,” “the Kitsch-22 of Kinetic Sculpture,” “the Psychedelic Nickelodeon?” So what if it was, and I quote, “universally despised by every member of the Los Angeles art community?” The sculpture is tackily endearing enough that, over the years, we’ve gradually accepted it as a city landmark. Many of us have grown pretty fond of it. And that’s a good thing because now the sculpture is getting a triumphal return to the tune of $100,000, which the Triforium Project won in the LA2050 grant competition. The money will be used to replace the mostly burnt-out bulbs behind the handmade Italian glass prisms with working LEDs, update the wiring and computer system that runs the thing, and develop an app people can use to compose music for the Triforium to play. Love it and/or hate it, the Triforium is finally going to live up to everything its creator envisioned—as a gathering place, as an interactive public artwork, as a blazing rainbow beacon of downtown as a place of progress and vitality. Next articleButcher Jered Standing Shares His 10 Favorite Dishes in L.A.